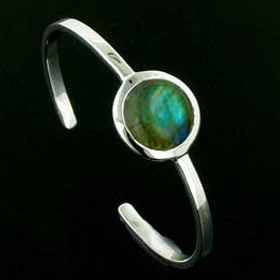 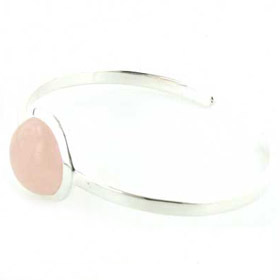 Dress Your Wrist in a Sterling Silver Bangle or Silver Cuff! 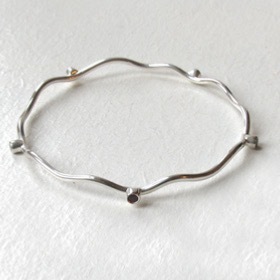 A sterling silver bangle can be a statement piece like the Giselle cuff or a slim circle of silver to accompany other silver bracelets. 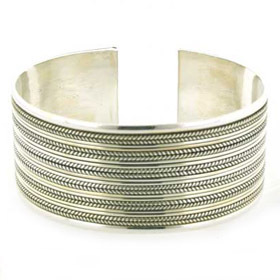 Silver bangles and cuffs have been worn by men and women since the Romans and Greeks first adorned their wrists with leather, precious metals and ornate gemstone studded pieces. 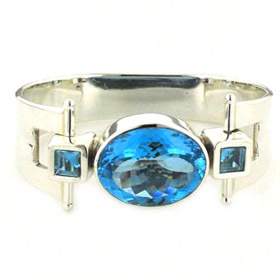 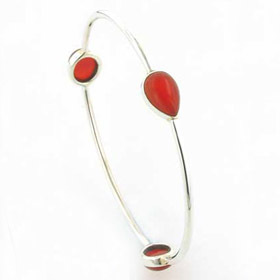 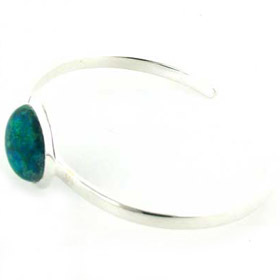 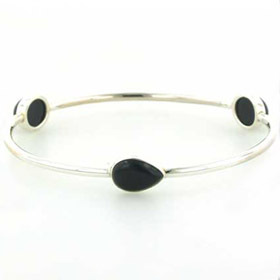 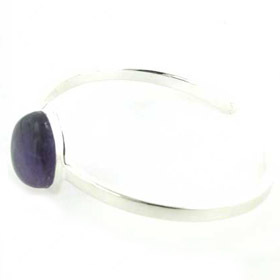 A gemstone bangle adds a touch of colour and individuality to your wrist. 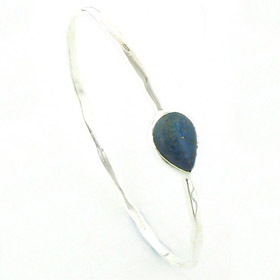 Here at Booth and booth we offes a large collection of silver bangles and silver cuffs with or without semi-precious gemstones. 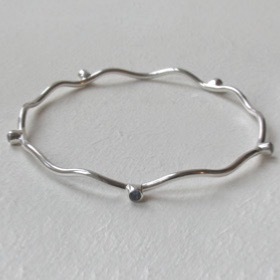 Wear alone as a statement piece or layer with other silver braceletsto create your own unique style.